Create a plan for the home addition project. You need to make sure that the design is pleasing. It should complement the current structure and look like a part of your home. To avoid common construction errors, hire an experienced home renovation contractor as he will create additional space that you want without making any costly mistakes. What Different Home Addition Projects you can undertake? There are various ways of adding extra space to your existing home. Consider the design of your home as well as your budget to make a decision. Here are a couple of home addition projects that you can discuss with the contractor:· Adding an extra room.· Adding an extra bathroom if there is only one bathroom in your home.· Building a room above the garage.· Adding a new level to the structure, etc. Will the Project increase the Property Value? Home addition projects can add value if you consider selling your home in the future. It will increase the resale value of your home. Thus, before undertaking any home addition project, you need to consider what areas might fetch you a good return. For example, if the home has just one bedroom, then adding another one would be beneficial to you. How to decide the Cost Factor? When you plan your budget for a home addition project, consider factors such as cost per square feet and the size of the project. The larger the area, higher will be its cost. It will include costs of demolition, excavation, site preparation, remodeling, flooring etc. Also, remember to factor in the labor cost of the contractor. It totally depends on the complexity of the work. A handyman is a viable option if you want to make simple changes to a room. But, if you want to undertake a complex project, a professional home renovation contractor is a must.When it comes to the hiring process, make sure that the contractor is licensed and insured. Ask him for pictures of his finished projects. 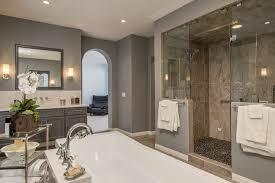 Do not forget to get cost estimates from at least three contractors in order to grab the best deal.It is possible to love your home but feel that the living space is insufficient for your comfort. In such a situation, a home addition project can help you in creating an additional living space in your home. Now that you know all about undertaking a home addition project, do not shy away from it. Instead, prepare yourself for a successful project.